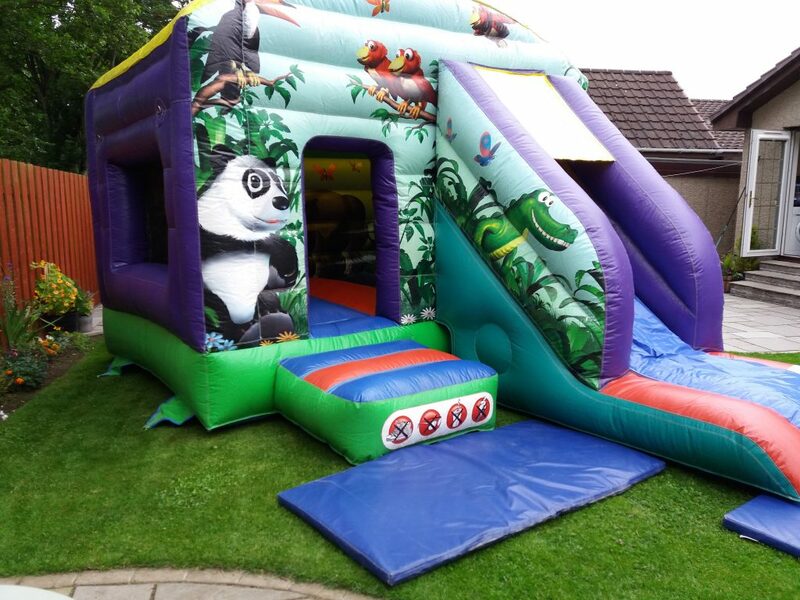 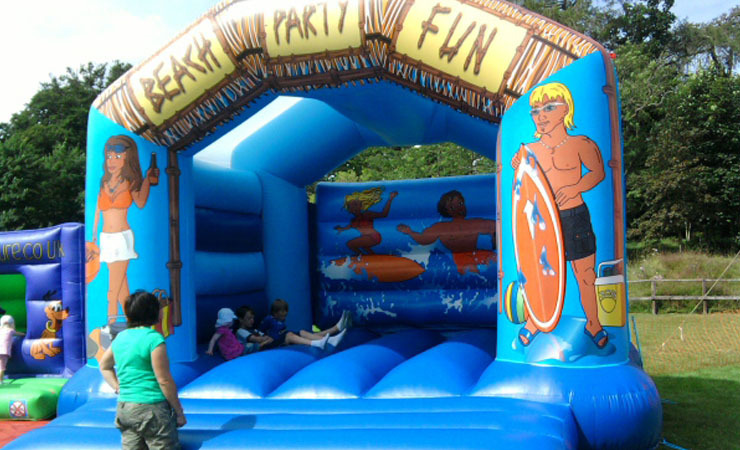 15×12 Bounce and Slide for all your budding Tarzan and Jane’s Great little bouncer with additional slide that will fit in most halls and gardens. 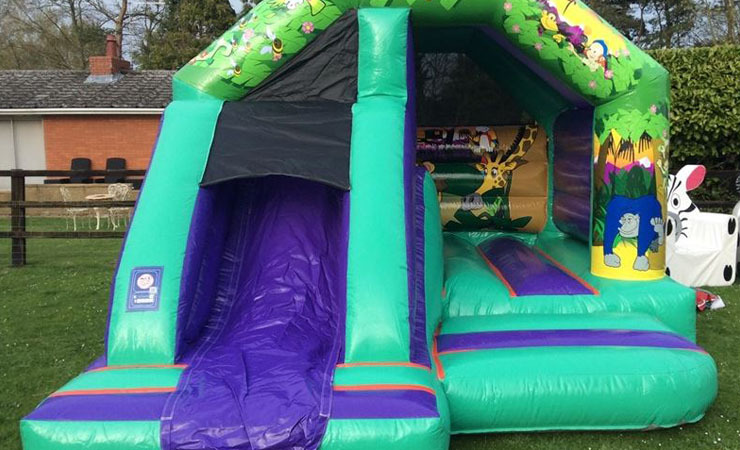 15×12 feet Age range 2-10 years. 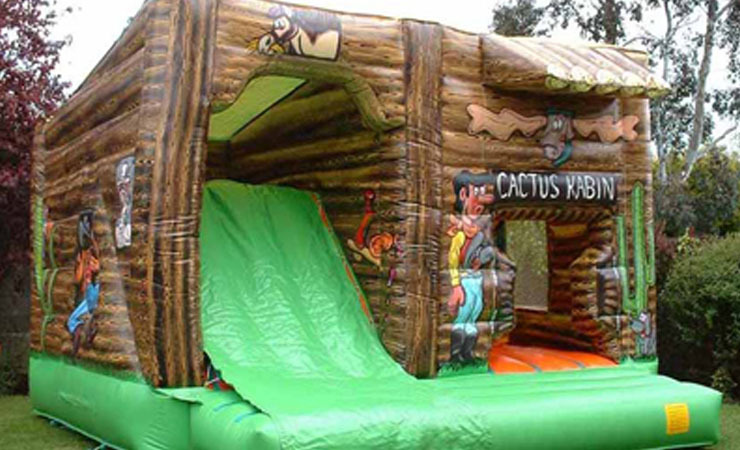 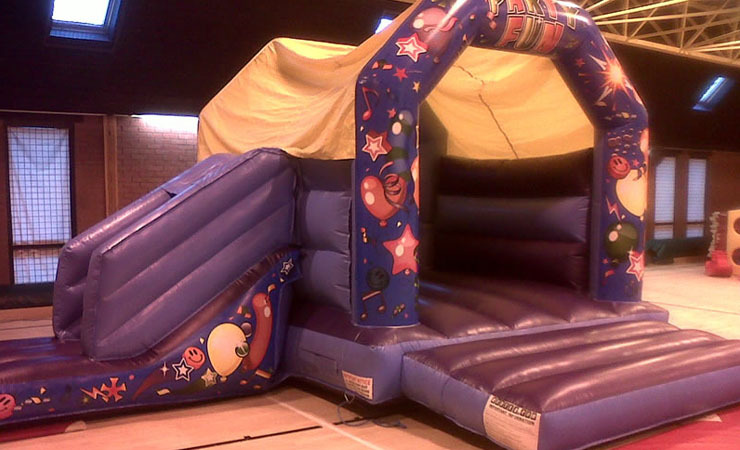 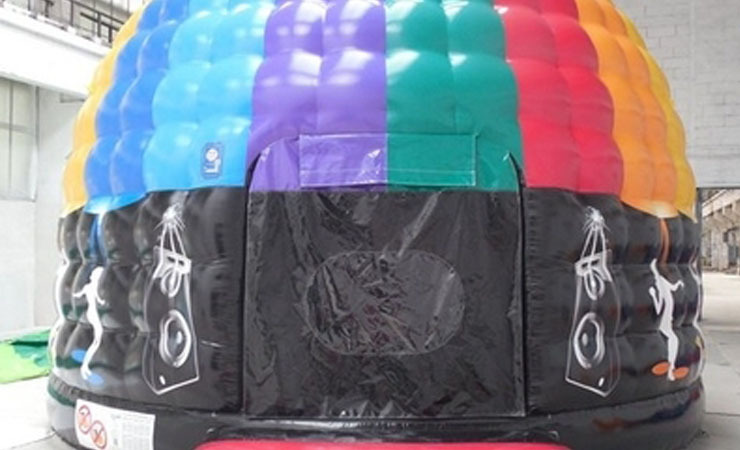 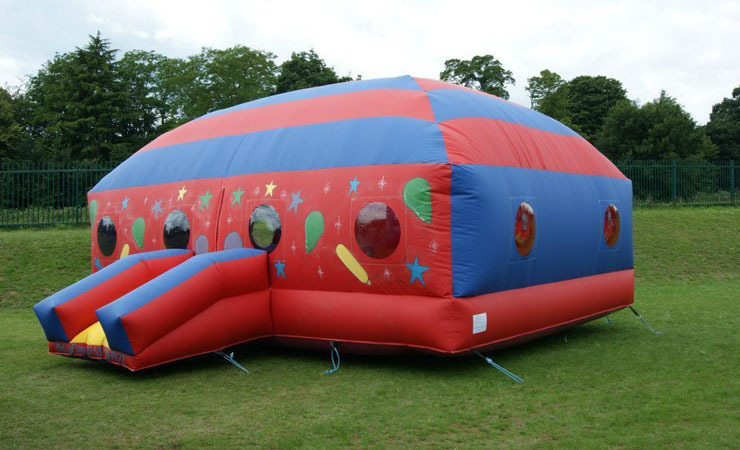 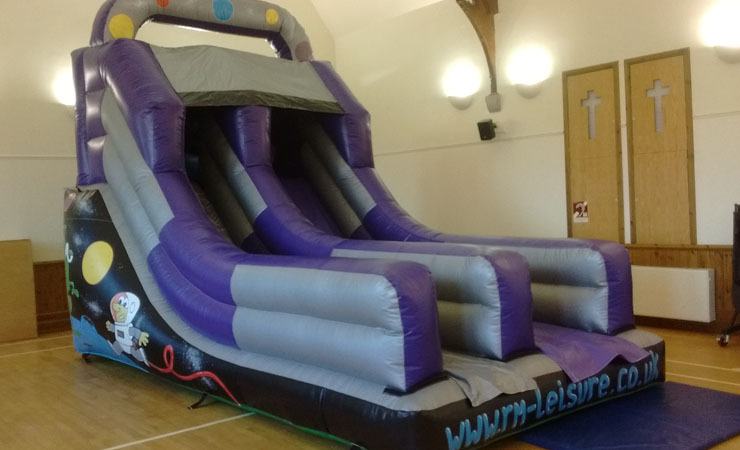 Bouncy Castles are still one of the most popular and traditional ways to bounce around. 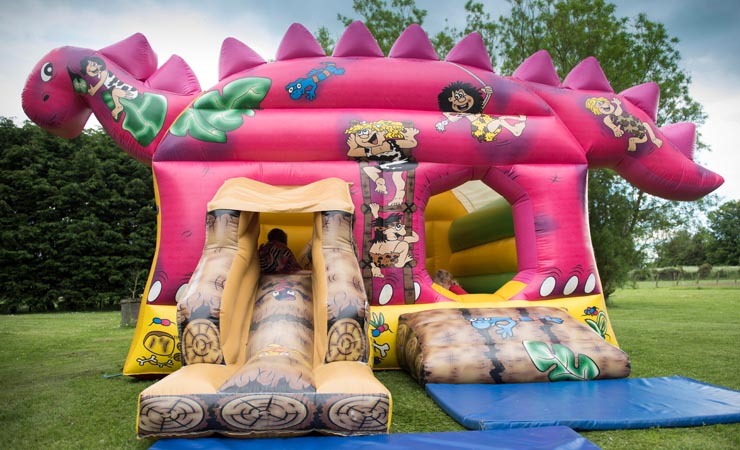 All Castles come complete with shower/sun covers and are available in the following sizes – 10×12`14’x12′, 15’x18′ 18×16, 20×22 Suitable for toddlers to 15 years, suitable Adult sizes are , 15×18, 18×16, 20×22. 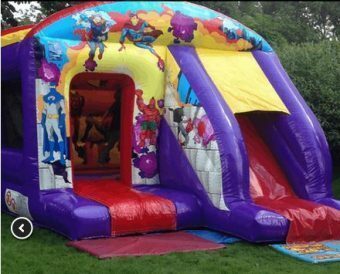 Bounce N Slide, suitable for ages 2–10 years , Operating space required 17 x 17ft.